Loved by readers, trusted by teachers and secretly read by parents, The Week Junior is the perfect Christmas present. Packed with fascinating, award-winning content every week, it will keep curious 8-14 year-olds engrossed and inspired for months. 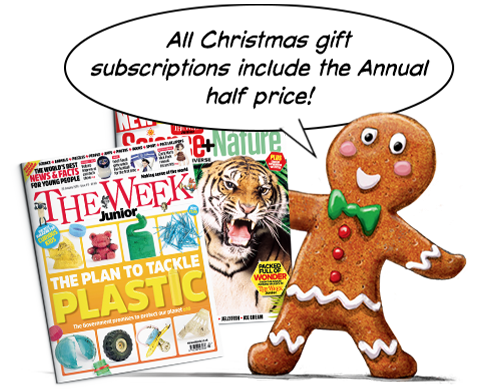 All Christmas subscriptions include The Week Junior Annual 2019 for less than half the shop price. Jam-packed with hundreds of amazing facts, incredible stories, and lots of stuff to draw and do, it’ll be a popular gift to unwrap and get stuck into on Christmas Day! The Week Junior is a brilliant way to introduce current affairs from around the world — breaking down complicated stories and events every week in a way that makes sense to young people.